Let's look past a former child star going at it with a foam finger on stage, and 'N Sync taking many a grown woman straight back to their screaming 90's self (I was one) and take a look at the hair that the celebs wore at this years VMA's. Taylor Swift looked like a Hollywood Screen Siren with some 1940's inspired waves. Such a gorgeous way to wear her hair and complimented her styling perfectly. I love how it looked a little undone to give a modern twist. 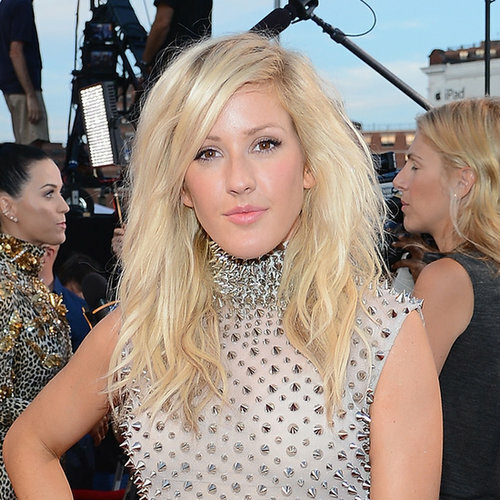 Keeping things casual but looking gorgeous was Ellie Goulding, a new hair crush of mine. I love the texture and the colouring really suits her skintone. Her dress was also absolutely stunning! Who were your favs from the VMA's?